Hi everyone! 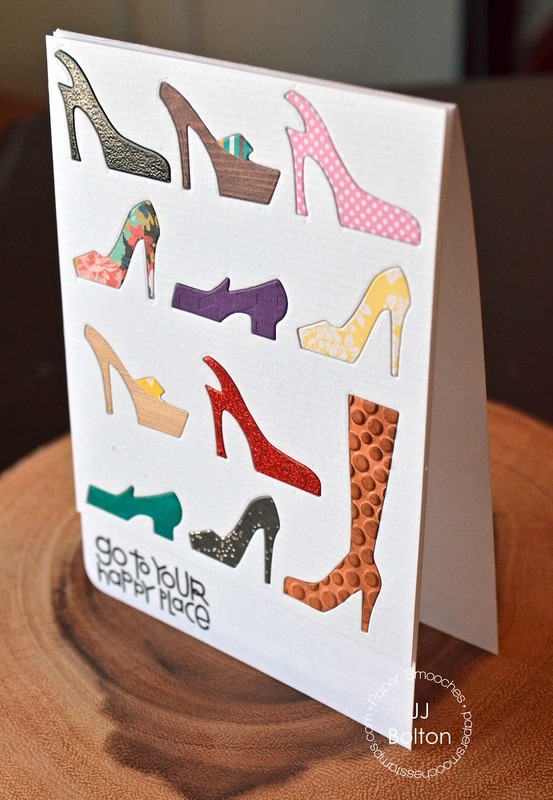 Just sharing a Paper Smooches card today:) This card uses the Shoes dies set. What better way to use this set than to make a whole closet full of shoes? Do you know someone who has this kind of closet (or maybe it's you;)? Each shoe is die cut and inlaid into the die cut panel. (Just a tip, use a ruler under the dies to make sure they are all lined up) It was so much fun to use all my patterned papers to create my shoes! For some of the shoes, I used my embossing folders/plates to create some texture (see the purple and teal loafers and the boot?). I even heat embossed the black slingback pump with clear embossing powder for a shiny look. Here's a little view from the side so you can really see the fun textures. I hope you enjoyed the card today. Thanks for stopping by and have a great day! ok, my girls have a lot of shoes. 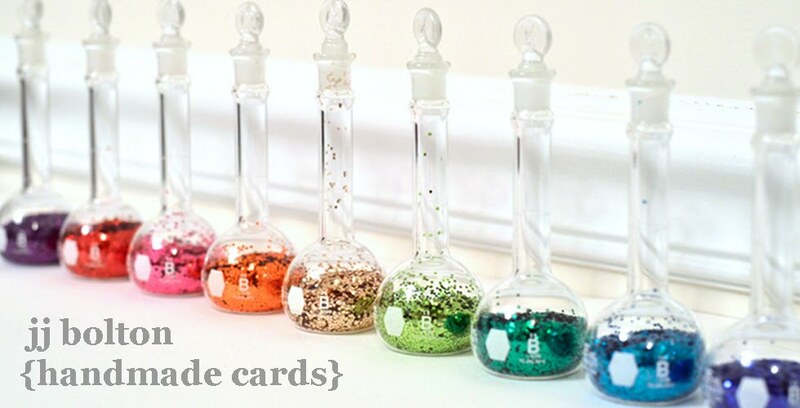 this would be great for them. LOL... Awesome card JJ and I know that sentiment is true for most of us!! Wow! Absolutely love all the different designs and textures you used to create this variety of shoes!!! This is fabulous!! Love all the fun patterns used!! How fun is this! I love how you added patterns and textures to make each shoe unique, and your design is fabulous, JJ! I love the sentiment, too...perfect! I really love this one! I love the papers you chose for the shoes, so fun! I want this die just because I saw this card! Love it! 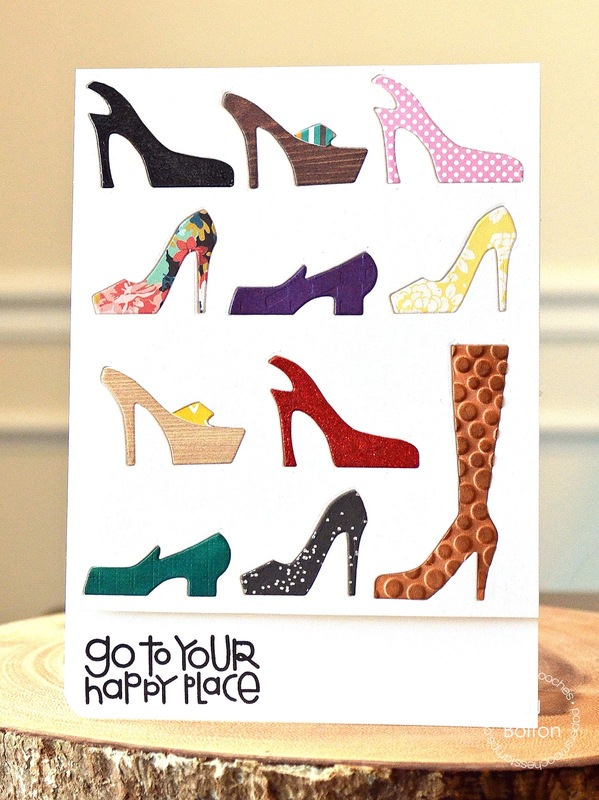 You "shoe"d do this more often--great card! Love all the different styles of shoes with the cute sentiment. Really adorable. What a shoe closet. Really like how you inlaid and textured the shoes. Thanks for the ideas.